"Everything was good. Stay at this hotel.2018-09-18"
"Nice hotel. Our room was updated and modern. My husband loved the lounging chair. Everything was clean, and the staff was efficient, accommodating, and friendly. Good variety at breakfast, and the food was delicious. Don't hesitate to stay here.2017-07-16"
"Good-sized hotel room with comfortable beds, but there were clumps of dust on the wall by the headboard and on the carpet around the nightstand. The toilet wasn't clean enough. Ask for a room away from the noisy street.2016-03-17"
"The hotel staff was really friendly and helpful, and the amenities were well-kept.2015-11-04"
"My room was clean and comfortable, and the staff was friendly and helpful. I'm a woman and was traveling alone, and I felt safe. 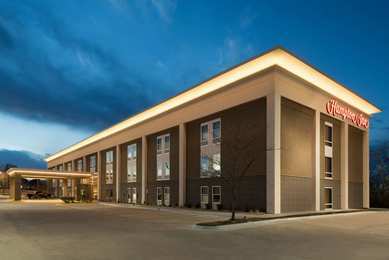 Highly recommend this hotel.2015-10-28"
Learn more about Lawrence Hotels & Motels in our Lawrence Hotels Guide.